In today's tutorial, we will be using the HTML5 canvas element to create a simple photography portfolio, which displays a set of featured photos with a camera shutter effect. This functionality will come in the form of an easy to use jQuery plugin that you can easily incorporate into any website. This requires a lot of processing power that web browsers just cannot provide currently, and as a result smooth animations are nearly impossible. But there is a way around this limitation. If you've played around with the demo, you've noticed how smooth it runs. This is because the frames are generated ahead of time and each one is built as a separate canvas element. After the initial load of the page (when the frames are generated), the job of the plugin becomes to simply cycle through the frames. The shutter itself is generated by drawing the same slightly curved triangular image. With each frame, the opening is smaller until the peaces fit together. First lets take a closer look at the HTML markup of the page. As we are using the canvas element, we need to define the document as HTML5 with the appropriate doctype. The stylesheets for the page and the plugin are included in the head section, and the script files just before the closing body tag. The #content div holds an unordered list with four photos, which are going to be displayed as a slideshow. If the user's browser does not support the canvas element, we will just cycle through these images without displaying the shutter effect. 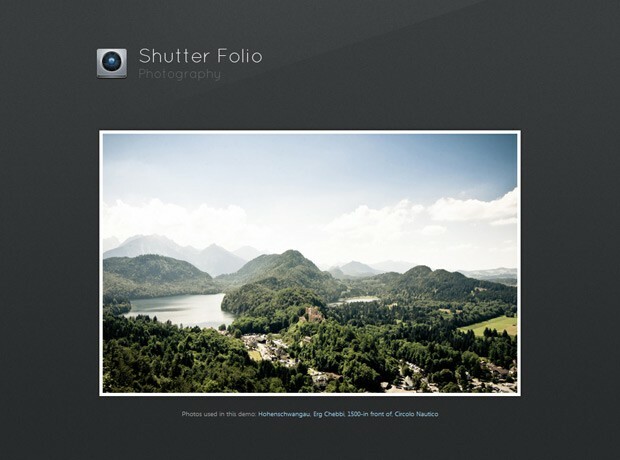 When the shutter plugin is called, it generates the following HTML markup. In our example, we are calling it on the #content div, so the code below is appended to it. Each canvas element holds one frame of the shutter animation. The height of the .film div is set be large enough to display the canvas elements one above the other. By animating the film's top property, we can skip through the frames and create the animation. The .shutterAnimationHolder div is set to be the same height as the container in which it is inserted, and is displayed over the unordered list with the photos. With overflow:hidden it hides the rest of the film and only shows one frame at a time. You can think of the canvas elements as regular PNGs, so they supports complete transparency and displays the photo below them. We will come back to this in the jQuery step of the tutorial. The CSS that powers the demo is quite simple, as most of the work is done by generating the canvases images. However, they still have to be organized as a film and animated properly in order to achieve a smooth animation. These three sets of rules are prefixed with the .shutterAnimationHolder class, so the styles only affect the markup, generated by the plugin. If you are into optimization, you can choose to copy this code to your main stylesheet, in order to minimize the number of HTTP requests. This is the most interesting part of the tutorial. Here we will create a jQuery plugin - tzShutter - which is easy to use and require minimum modifications in your website in order to use it. One important aspect of the development of this plugin, is to provide proper support for users whose browsers do not understand the canvas tag (basically all IE versions except for 9). This can be done easily by skipping the canvas generation in this case. Also we must provide a way for users of tzShutter to trigger the opening and closing animations. We will achieve this with binding two custom events to the containing element - shutterOpen and shutterClose, both easily executed with the trigger() jQuery method. Additionally, the plugin will provide users with a way of plugging custom functionality by the means of callback functions, passes as parameters. These are executed in key parts of the animation process - when the canvas elements are generated, and when the shutter is opened or closed. You can see the code of the plugin below. // The film div holds 15 canvas elements (or frames). // exposing only one frame at a time. 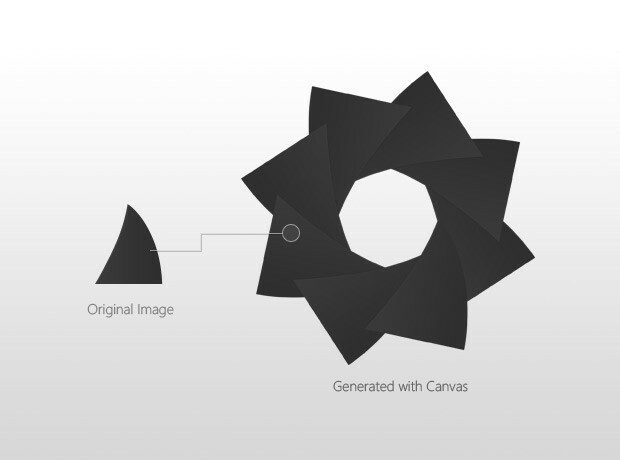 // Creating 15 canvas elements. // slices with a different rotation difference. // paint the different slices of the shutter. // back to them after applying an additional rotation to the slice. // the canvas) to the bottom-center of the shutter slice. // This rotation determines how widely the shutter is opened. // Reverting back to the saved settings above. // Adding the canvas (or frame) to the film div. // Appending the film to the animation holder. // Calling the user provided callback. The only shortcoming of this method, is that the processor intensive task of generating the canvas elements is done when he page is loaded. This might cause the browser interface to become unresponsive for a short period of time. You could alternatively use actual PNG images instead, but this would add more than 1mb of weight to your pages (versus the 12 kb now). Now lets see how the plugin is used. // create a simple slideshow. When the plugin finishes generating the canvas elements, it triggers the loadCompleteCallback function. We use it to schedule a shutter animation every four seconds, accompanied with a change of the visible photo in the unordered list. With this our Shutter Effect Plugin is complete! The canvas tag gives developers a vast array of possibilities and allows them to create new and exciting user interfaces, animations and even games. Share your thoughts in the comment section below. If you liked this tutorial be sure to subscribe to our RSS feed and follow us on twitter. A newsletter full of programming news, cool libraries, and productivity tips. Pretty useful but I'm still not using HTML5 until it is seriously supported by all browsers and the fact this was heavy on my browser/processor is something that is a drawback. Still a great tutorial and very nice effect!! Well done! As usual, on internet explorer does not work. Is there something I embedded wrong on my site? http://zachography.tumblr.com It doesnt circle through the photos. Simply amazing effect! If it worked in IE would be a loud success. Great Work! just fabulous specially the Idea of using it in Canvas. is there any way i can use this effect on a single image in the header when the page loads? It's working on jQuery 1.5.0. But its not working on jQuery 1.7.1, would you please check it? This does not operate by JQuery1.72. Simply wonderful. To let this work with jQuery 1.7.x, just replace "className" with "class" in rows 65 and 78. Awesome and unique! Thank you very much! 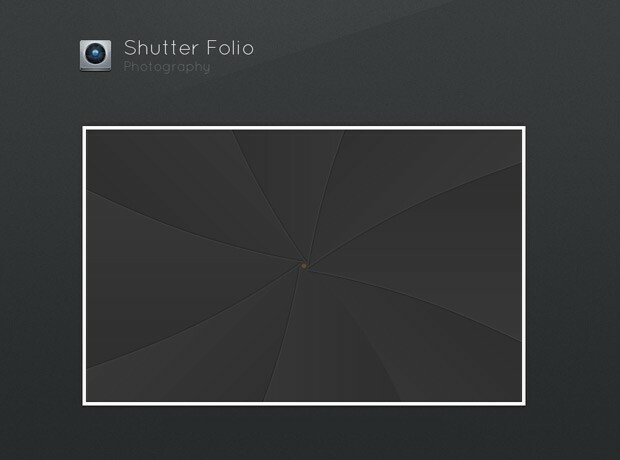 I tried to change with the latest jquery version, but the shutter effect isn't working.. This is amazing, just amazing :-) I wish one day IE will be smart enough to understand technology and art together can create awesomeness!!! Great tutorial! very useful! I have a question, however. Is there a way to make the "shutter" effect to be a "hover over" event instead of cycling over again, every so often? Thank you! Tutorialzine founder. Interested in development and design. Busy working on the next big thing. A community that learns together.